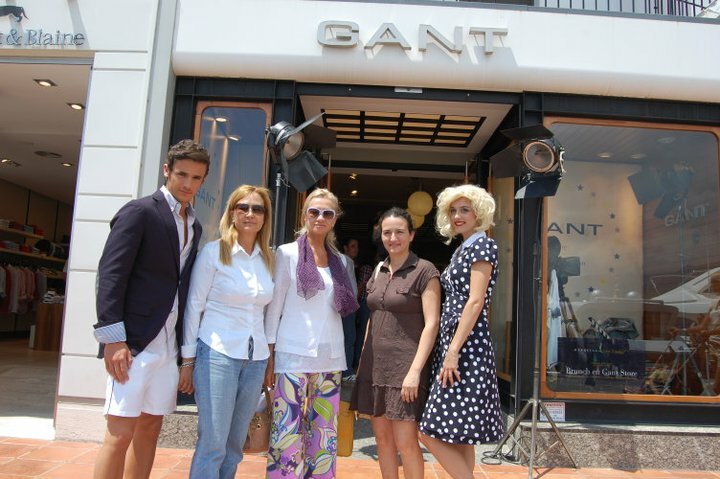 From 2-5 of June Puerto Banus hosted a series of glamorous events for the first time called Marbella Luxury Weekend. During the 4 days different cocktail parties and presentations took place in most of the shops and boutiques at the port. i-Marbella interviewed the managers of the shops to find out how they did during the weekend and what are their opinions about the Marbella Luxury Weekend. The firm Bulgari took advantage of the weekend presenting its latest collection entitled “Mediterranean”, with cocktails made especially for the occasion and also live music. During the days they doubled their sales and were more than happy with the outcome. They didn't expect so many people to attend and probably next year they will also take part in it. Kay Erik Baumann, the director of Luz Jewels, revealed that MLW was the highlight of the year for the boutique and what they sold during these 4 days they usually sell in one year! They definitely will think about participating next year to do even better. Angelika Legowik from Alta Moda told i-Marbella that she enjoyed the MLW at the port. She was very pleased with the decorations in the VIP areas and all the events that took place during the weekend. Although ALTA MODA didn't participate in MLW, they still organised a separate cocktail for their clients and made the most of these fabulous 4 days. Cesare Paciotti, Versace and Elite organised cocktails for their clients and for the guests of MLW. The sales number during the weekend were very positive and overall they were really happy with the results and they're already thinking about how to participate even more next year. Probably they will make more special arrangements to highlight their brands and products. Gómez & Molina had so many different events and presentations inside and outside of their boutique. Since they have over 40 brands in their shop, the series of events they had promoted each day different product. Marina Gómez Molina said it was a good opportunity to get a lot of new contacts and also to communicate and entertain their existing clients. Deborah Oziel, the store manager of Missoni, had only positive words about the weekend. "The more effort you put in, the more you get back," she said. They organised also a cocktail and according to her it paid off and they had many clients. Either way she thinks it is wise to participate and also support Marbella. Tourbillon, A&G Rock & Roll Couture, Dolce & Gabbana, D&G, Custo, Chloe, Gant, Harmont&Blaine all confirmed that the sales numbers were affected in a positive way and were pleased. The sales went up also in some shops, who didn't officially even participate for example Burberry increased their sales 15% and the boutique Lady Russ also sold more than on a usual weekend.